The annual event in the Bavarian capital brings together around 500 politicians and foreign policy experts, and is expected to generate important ideas for forging Europe’s and the world’s future security. 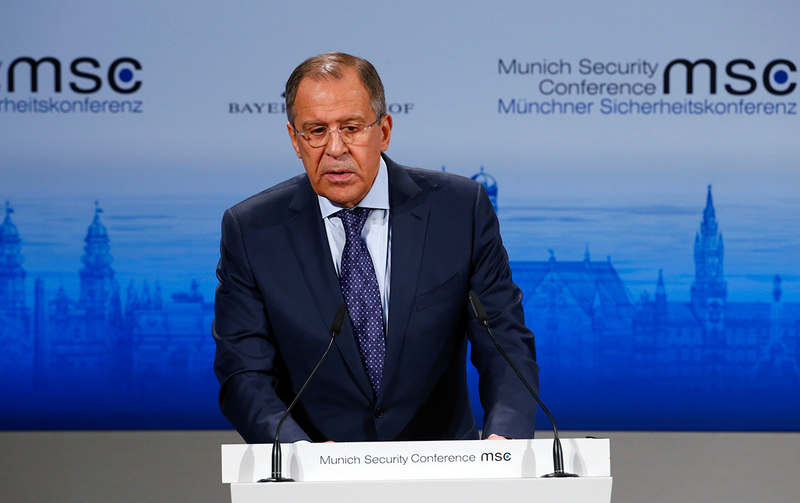 The annual Munich Security Conference will be both a stress test for transatlantic unity and a litmus test as to whether the debacle of American exceptionalism and regime change was enough to convince the West to reconsider its failed policies. The agenda of the three-day Munich Security Conference (Feb. 17-19) includes debates on recent transatlantic divergences, in particular NATO’s future status, military cooperation among European nations, as well as the persistent crisis in Ukraine, turbulent relations with Russia, the chances for peace in Syria, and developments in the Asia-Pacific region. The annual event in the Bavarian capital brings together around 500 politicians and foreign policy experts, and is expected to generate important ideas for forging Europe’s and the world’s future security. Yet, one topic seems to have hijacked the agenda: Will Trump pull the U.S. out of Europe? “It is no exaggeration to say that the European Union’s future lies in the balance,” asserted Munich Security Conference chairman, Wolfgang Ischinger, in an op-ed for Time magazine in December. “ could be the most consequential for Europe since the fall of the Berlin Wall, or maybe even since the end of World War II,” Mr. Ischinger said, sounding the alarm. The root cause, in his opinion, is the ambiguous attitude of the new U.S. administration to NATO and Europe’s disunity. Donald Trump sounds like a true blue Eurosceptic, a blend of Nigel Farage and Marine Le Pen multiplied by ten. In fact, the real challenge of European disunity is the search for a substitute for the United States in its fading capacity of sole leader. The European political elite fears a future where the United States changes from being the driver to a back seat rider. In that case, they must start looking for a replacement. What options are there to fill the security void if Trump scales down the U.S. commitment to NATO? Basic logic says to look for leadership from the next most powerful nation, which means Germany since it’s Europe’s largest economy. Prior to the presidential vote count in November, Spiegel Online suggested that in case of U.S. isolationism Germany would be wise to place its bets on “deterrence” meaning a European or (sic!) national nuclear forces. If the security guarantee known as the American nuclear umbrella is no longer valid, then “Europe still needs nuclear protection for deterrent purposes,” said Roderich Kiesewetter, a foreign policy spokesman in parliament for the ruling Christian Democrats. The danger of Germany’s remilitarization, however, cannot be ruled out. Talk of ‘going nuclear’ might reflect a drive within the German elite to match the macro-economic grandeur with military potential. Moreover, the current uneasiness of a political elite still bearing a guilt complex for World War II might be overcome if the spread of anti-Muslim and anti-migrant sentiments radicalize the ruling strata and set the stage for the ultra-right to grab power. This would constitute a serious menace for peace, security and stability in Europe. It would be even an existential threat, which as is worth reminding, had a precedent in the 1930s when the Weimar Republic collapsed amid public enthusiasm for going to war. Will this abysmal scenario be discussed in private at the Munich conference? Most unlikely. Just over 10 years ago on Feb. 10, 2007, President Vladimir Putin warned at the Munich Security Conference against the perils of the U.S. strategy to forcibly dictate international affairs with blatant disregard of international law and the interests of nations not allied with the West. The $4 trillion spent by the U.S. to combat terrorism around the world have only culminated in the emergence of powerful Islamic extremist forces, the near destruction of Iraq and Syria, perpetual violence in Afghanistan, and degradation of Libya into a rogue state, or rather a no man’s land. The U.S. strategy of regime change - the unofficial Kagan-Nuland doctrine - has also caused the erosion of a consensus amongst America’s political and business elites. There is a silent civil war within the American establishment, and in the likelihood that Trump’s America would no longer remain Europe’s security provider, the EU faces a tough choice. Either bury the Cold War hatchet with Russia, or continue to fan hostilities with unpredictable consequences. These two scenarios are at the core of Europe’s future security, but it does not seem to be part of the current agenda of national governments nor of EU authorities. Will this year’s Munich Security Conference become a game-changer? Vladimir Mikheev is a freelance commentator for Russia Beyond The Headlines. His opinion may not reflect the position of RBTH or its staff.